One of those sounds should not belong. As the Fourth of July approaches, so do barbecues, pool parties and, sadly, amateur firework artists. And so, as always, Memorial Medical Center is preparing for the annual visits from those who’ve declared their independence from firework safety. And, while the giant explosions of the grand finale spectaculars seem as though they’d be the most dangerous, the riskiest firework product is actually the handheld, seemingly kid-friendly sparkler. 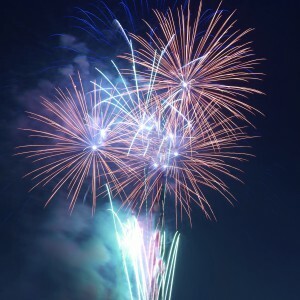 Because of these supposedly safer items, children tend to be at the greatest risk, with those aged between five and 14 accounting for 60% of all firework-related injuries. So, what can parents do to avoid injuries in their children (and themselves)? Choose glow sticks and glow necklaces instead of fireworks. They can be purchased cheaply from any dollar store, and are, at no point, set aflame. Adult supervision is a must. Have a bucket of water nearby. Never re-light fireworks that didn’t go off. Stay away for at least 30 minutes, then douse them in water before you touch them or attempt disposal (in a fireproof container). And, while doing things the DIY way is very trendy, go see a professional display rather than attempting to do it yourself. Stop the burning using cool water (not cold, not warm). Wrap the injury, and position it for comfort. If there’s any question to the severity of a burn, go directly to the ER. Better safe than sorry. Have a happy, safe Fourth of July. And, please, leave the explosions to the experts.